Great Natured – You'll Become Great Natured Too! 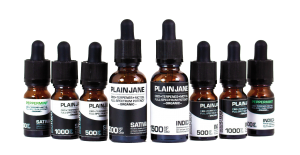 All products are made with organically-grown, hemp-derived cannabidiol (CBD). Grown, processed, and manufactured in the U.S.
Great Natured submits our products to outside labs two separate times to ensure they contain the advertised cannabinoid content. Formulated our board-certified toxicologist and pharmacologist. All ingredients are added with the utmost concern for your health. 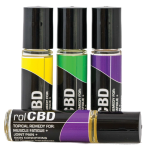 Hemp extracts from Great Natured are a powerful tool for combating the stress of your day. We pride ourselves by arming you with solutions to take charge of your own emotions, stay ahead of the pressures of life, and avoid that awful, “on-edge” feelings that distract you from being the powerful, magnetic person you are. Enjoy the assurance of the power to discreetly, and reliably manage your anxiety without that “foggy” feeling. Whether you struggle with social situations, OCD, PTSD, or general anxiety, consider Great Natured your secret weapon to stop panic attacks before they start. You have the power to escape the prison inside your head and seize the opportunity today. Living with chronic pain can make you a prisoner inside your own body. CBD’s natural analgesic constituents can help you break free from consistent pain without opioids or prescriptions that can do more harm than good. A life with less pain means more energy, enjoyment, brainpower, and personal independence for you to use to create the life of your dreams. Tried today for the 1st time, amazingly I felt a difference within an hour, I broke my back, hip, and pelvis a few years back and also suffer from fibromyalgia, rheumatoid arthritis, depression, anxiety and I felt amazing! Ty this stuff rocks. On my way to having my life back. I have many little old lady aches and pains, and then some more serious moments of flare-ups that keep me from sleep. While I can’t cite the anti-anxiety effects distinct from the synergistic pain relief – the recovery vape seems to give enough relaxation to these old bones that combat the creeping arthritic fingers, knees, and toes and keeps them at bay so I can get some good rest. Thanks for making a formulation I feel pretty confident won’t get me into any trouble and actually seems to work. Definitely, a product in which I believe. Very effective for my arthritis. I apply it to the back of my hands and then vape to get a better saturation. Absorbs through the skin within minutes. Really wonderful product and the 500 mg is the strongest I have found. Highly recommended. I have many little old lady aches and pains, and then some more serious moments of flare ups that keep me from sleep. While i can’t cite the anti-anxiety effects distinct from the synergistic pain relief – the recovery vape seems to give enough relaxation to these old bones that combats the creeping arthritic fingers, knees and toes and keeps them at bay so i can get some good rest. Thanks for making a formulation i feel pretty confident won’t get me into any trouble and actually seems to work. Definitely a product in which i believe. 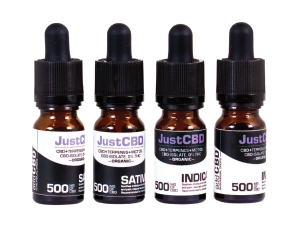 9th Circuit Affirms CBD Legal to Sell Under 2014 Farm Act. bioRemedies MD is in compliance with Sec. 7606 of the Farm Bill Act.